We have implemented a new policy here at the ACLT to eliminate some of the negative impacts on the land and the experiences of other hikers. If you “pack in” please remember to “pack out”. What is “Pack in, Pack out”? It is a policy implemented by many parks, at the local, state, and even national levels. Its goal is to preserve the land for all to enjoy. It is a very effective practice simply meaning that when we go out on the trails we take our litter with us. Why has ACLT implemented this policy? We are thrilled to see more hikers over the years, and are excited to share the natural beauty with more people. But that also comes with a larger impact on the environment. This new practice doesn’t stop at protecting the environment, the community benefits from it too. What are the benefits to this policy? We are all aware of how trash can harm the environment, but many people do not realize how “natural” items such as fruit peels and dog waste impact it too. Neither of these are actually natural to the environment of ACLT and they can take a long time to decompose. Apple cores take 8 weeks to break down, and orange and banana peels can take up to 2 years! Besides, we would much rather have these items as compost for our produce at the Double Oak Farm. Dog waste can also contain bacteria/parasites that persist in the soil or water for years, harming the local wildlife. Removing these items when we leave helps prevent these problems. 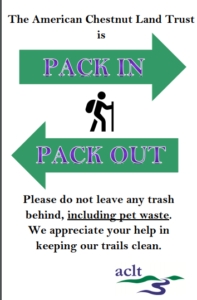 “Packing out” helps protect the environment and the experiences for our community. 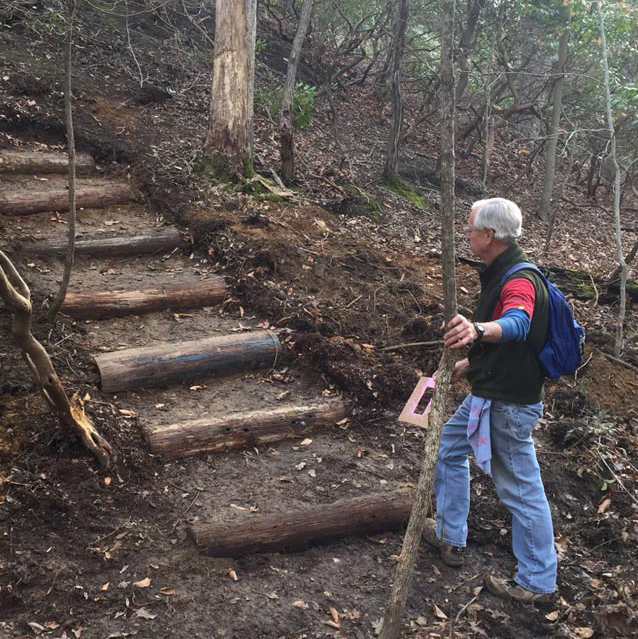 Keeping the trails clean helps preserve the natural beauty that hikers come here to experience. Not having to clean up trash gives others more time to enjoy nature in its purest form. “Pack in, Pack Out” also lets our staff and volunteers redirect their focus and resources away from maintenance, and invest them into new conservation projects and fun events. 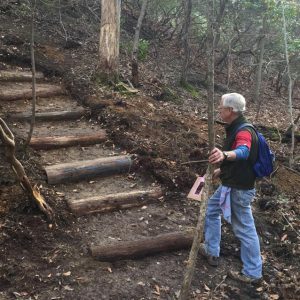 We are delighted to see more people out on the trails and enjoying the land that we love! 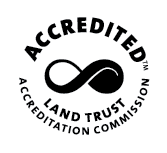 We hope that you will join us in preserving the land for even more people to enjoy. If you pack in, please remember to pack out, all of us here at ACLT and your fellow hikers thank you! ACLT is a Member of the Chesapeake Bay Gateways Network. © 2019 American Chestnut Land Trust. All rights reserved. CFC #53731.